The NLRB has decreed that, starting on January 31, 2012, health facilities must post a notice informing those on payroll of their rights to negotiate as a group and join a union…but stay tuned. what to do if there has been a violation of rights under the NLRA. The NLRB has copies of a sample notice available here. The notice may be printed on multiple pieces of paper, but it must be 11-by-17-inches in size and placed in a conspicuous location. The National Labor Relations Board (the "NLRB") finalized its rule requiring this notice in the August 30, 2011 federal register. Many individuals and organizations in the healthcare industry provided comments on the notice requirement, suggesting limits to the sign content in the health care setting. Specifically, they proposed that the notice should include specific limits on solicitation where patients may be affected. They noted the Supreme Court opinion in Beth Israel Hospital v. NLRB, 437 U.S. 483 (1978), which held that health care employees do not enjoy a protected right to solicit in immediate patient care areas or where their activity might disturb patients. The government ultimately was not persuaded by these comments and no limits on the signs were added. Instead, as noted above, all health care facilities must display the notice with the uniform language. Moreover, Michigan Health & Hospital Association urged that an employer be allowed to correct an initial failure to post a notice. 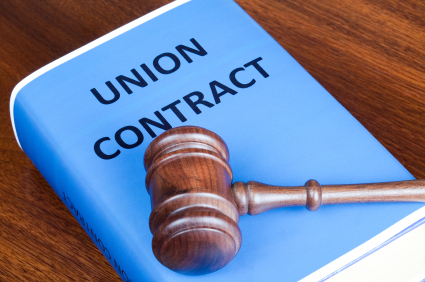 However, the NLRB disagreed and determined that the General Counsel's discretion should be used in such cases. Nonetheless, there has been strong public outcry against these requirements generally. In fact, the posting requirements were initially set to begin on November 14, 2011 but were postponed to January 31, 2012. While the extension was officially granted "in order to allow for enhanced education and outreach to employers, particularly those who operate small- and medium-sized businesses," many believe that the delay is due to public backlash against the rule. Specifically, the National Right to Work Legal Defense Foundation filed a preliminary injunction to halt implementation of the new rules. Oral arguments on the injunction will be held on December 19, 2011. Presumably, many more challenges will follow as representatives from various industries weigh in on this requirement. Until it is legally decided otherwise, however, the requirement is that all health care organizations comply or, at the very least, make best efforts to comply with the new notice requirements. Mark your calendar for January 31, 2012, and be sure to post the notice. If you have any questions regarding the notice requirements or how they apply to your organization, please call us at (517) 371-8106.